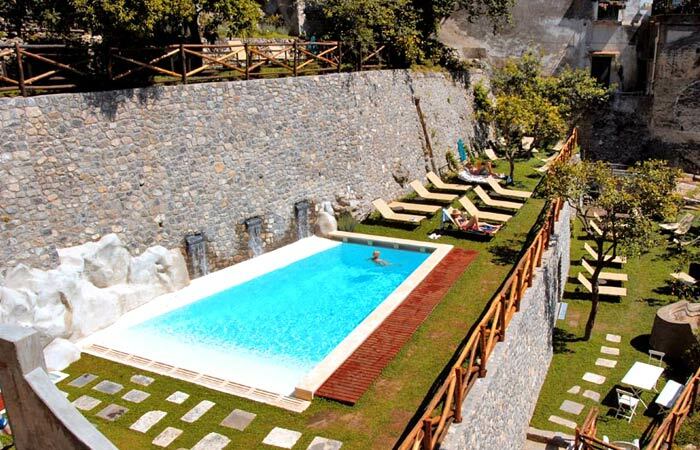 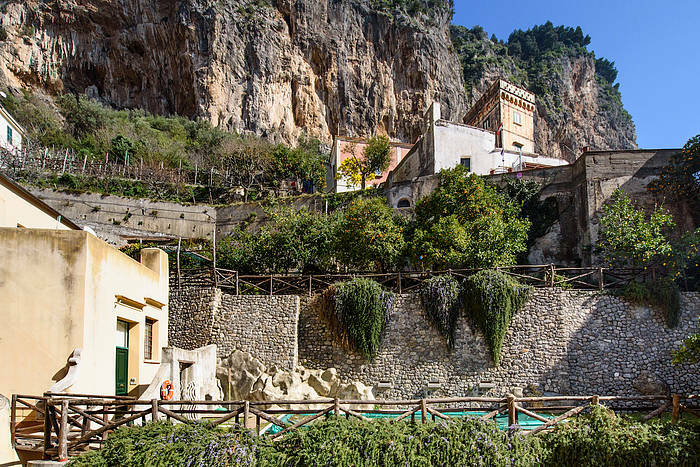 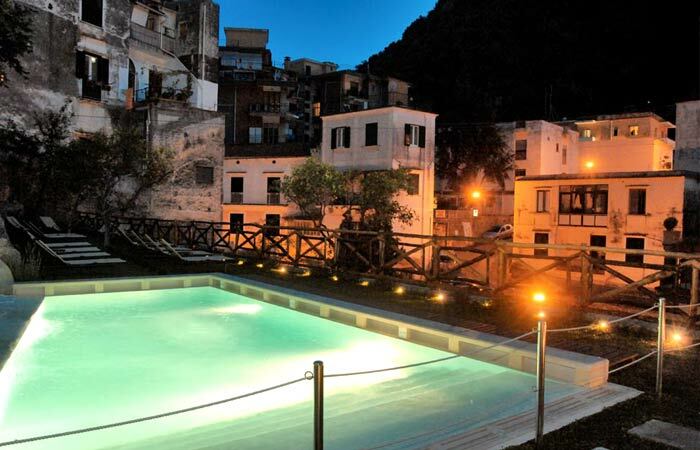 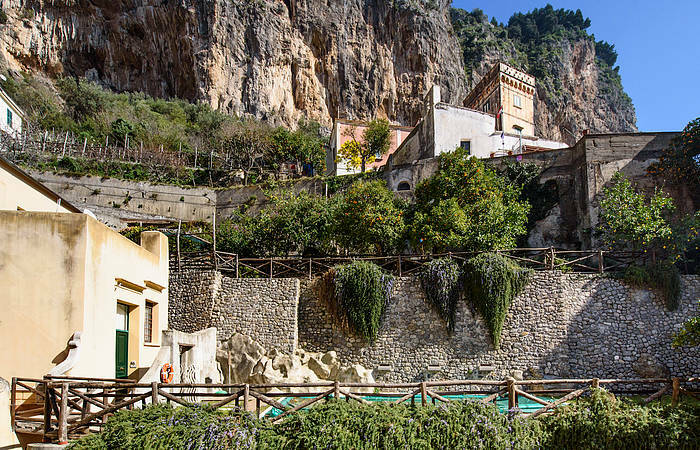 The only vacation residence with an on site pool in the heart of Amalfi! 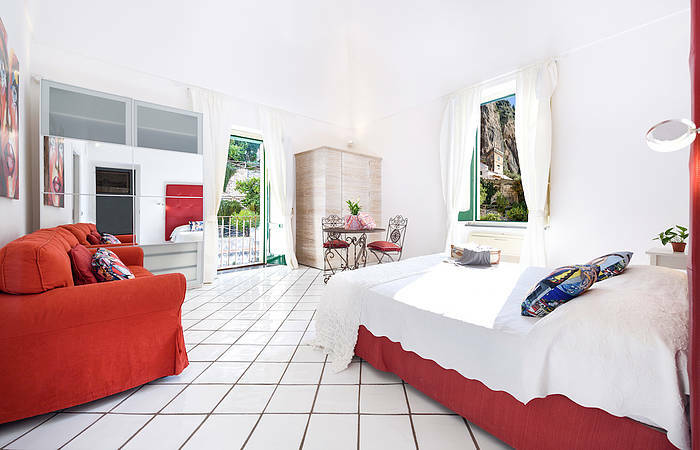 Cartiera is a centrally located self-catering apartment in the center of the town of Amalfi, with 3 double bedrooms (with either a queen size bed or two twin beds, upon request), 2 bathrooms (one with a Jacuzzi tub and the other with a shower), an open space sitting and kitchen/dining area and a small outdoor space. 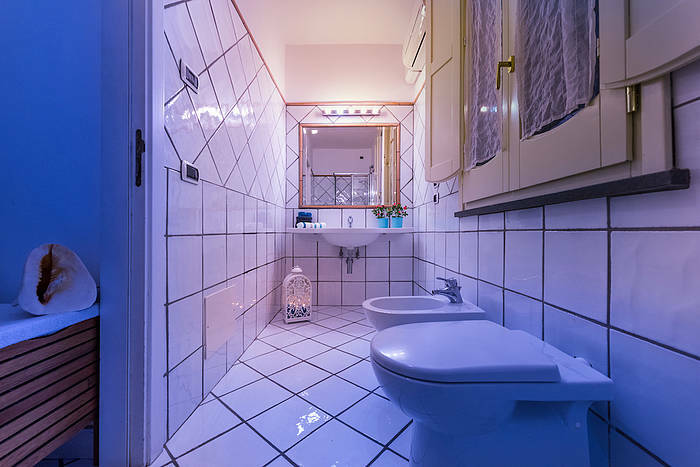 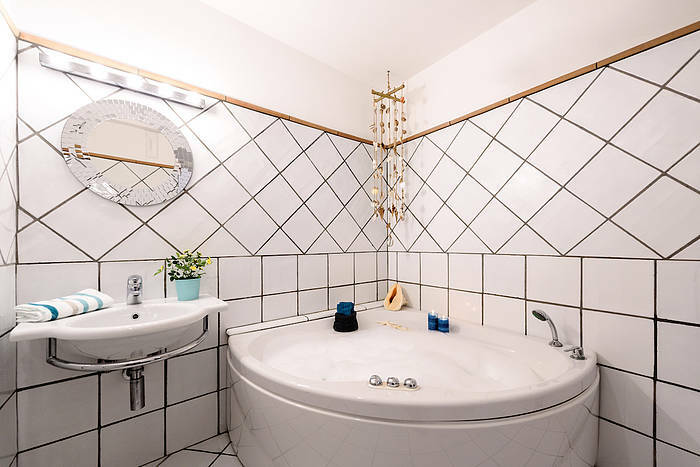 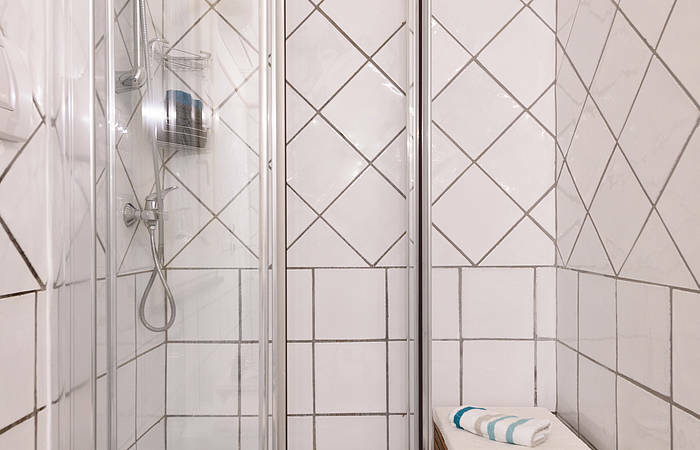 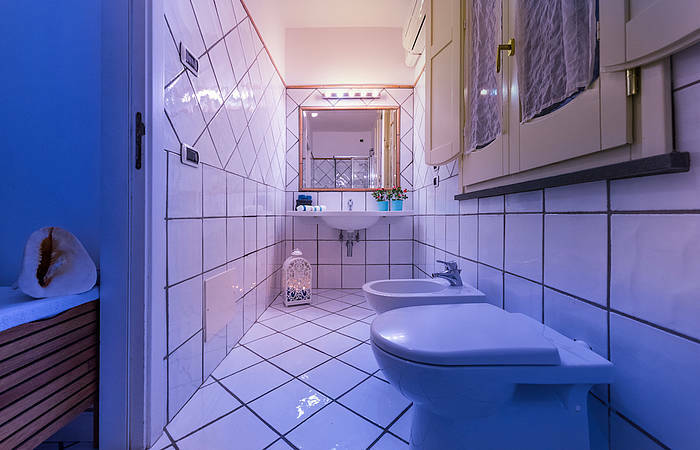 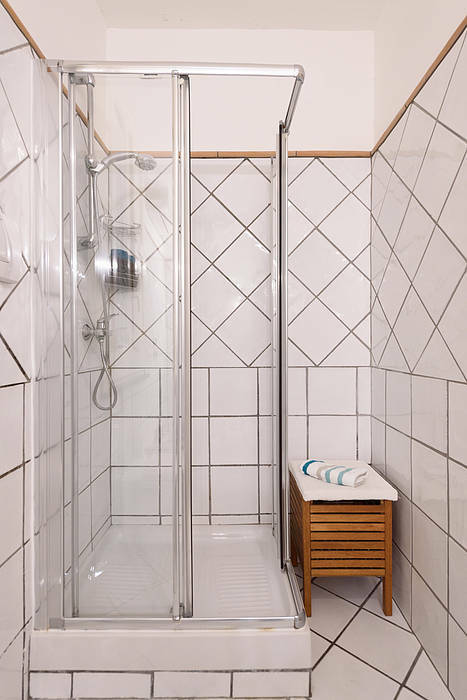 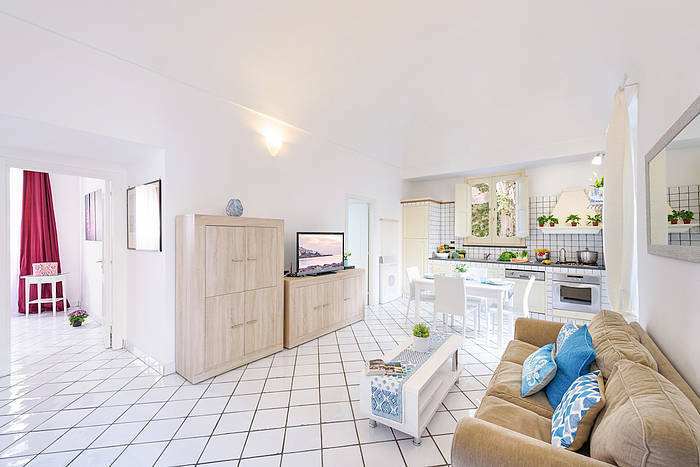 Amenities include air conditioning, heat, dishwasher, washing machine, high speed internet, tv, and stereo. 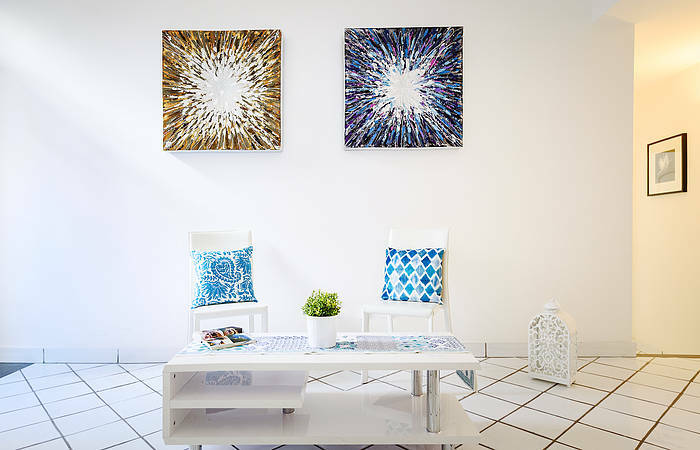 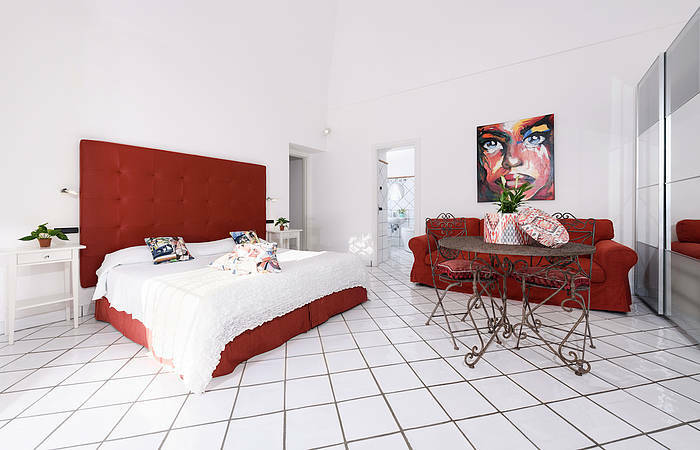 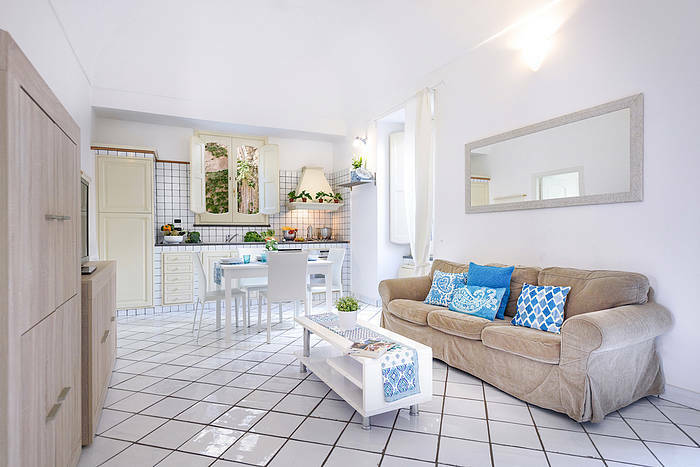 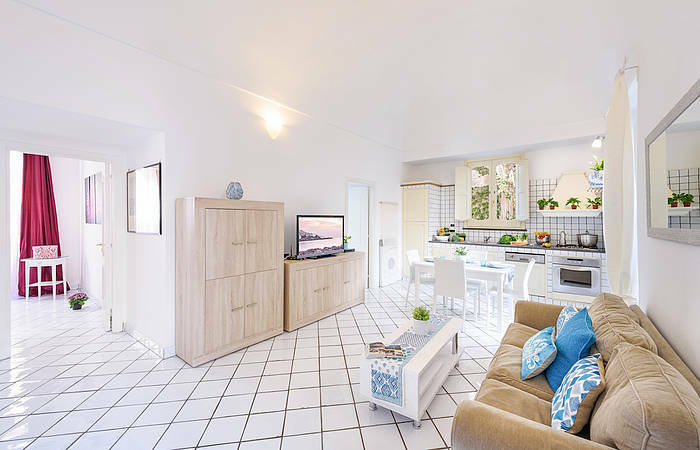 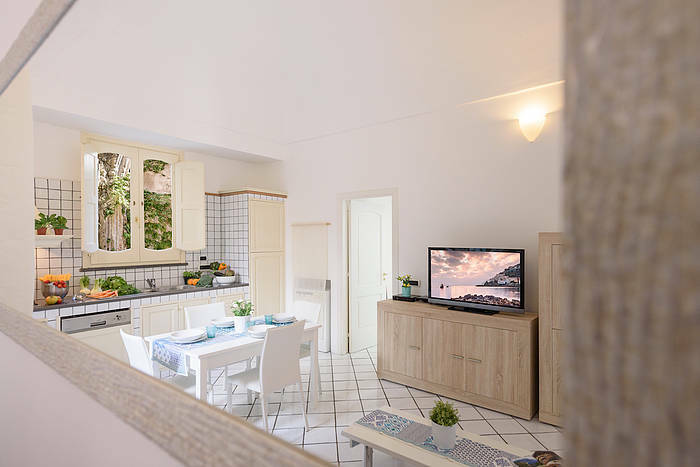 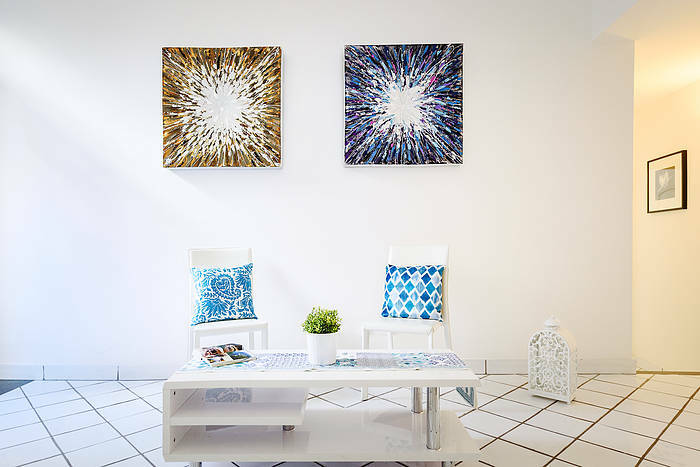 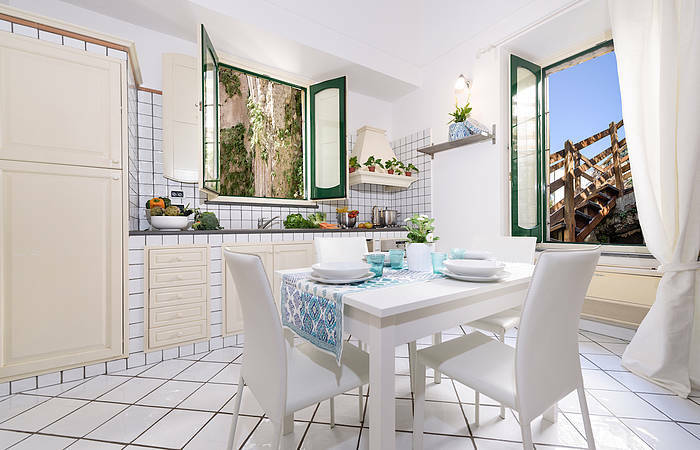 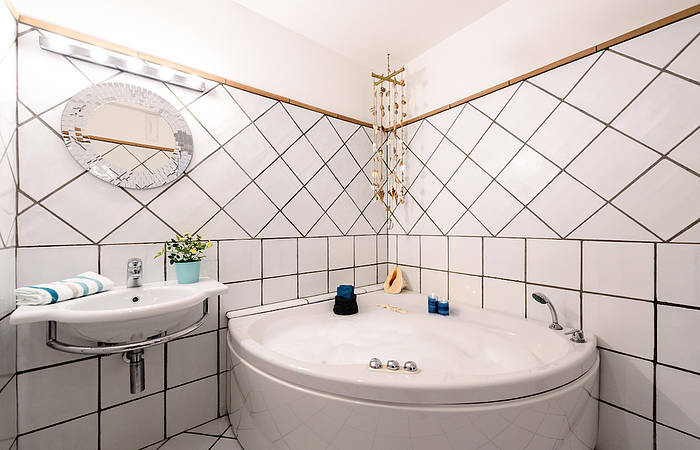 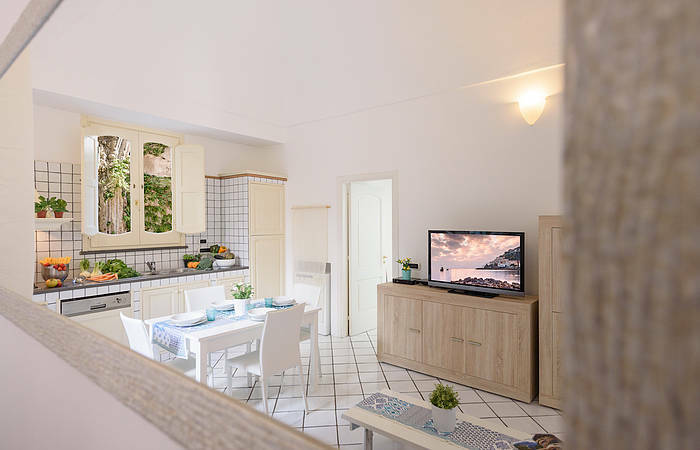 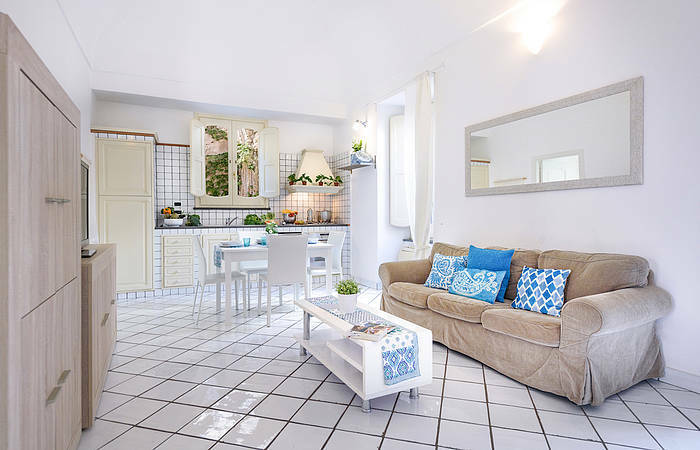 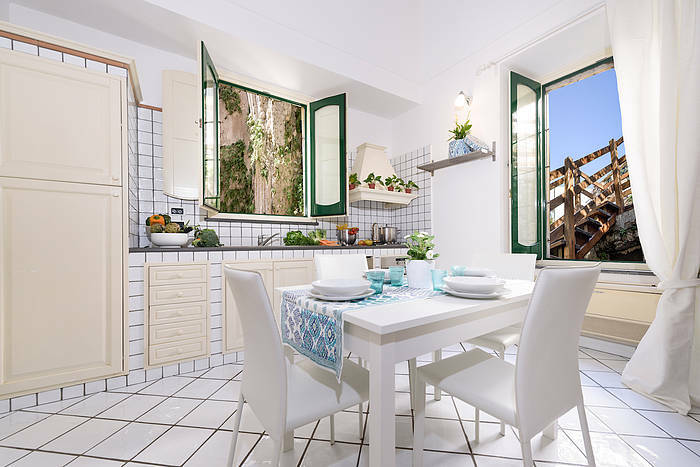 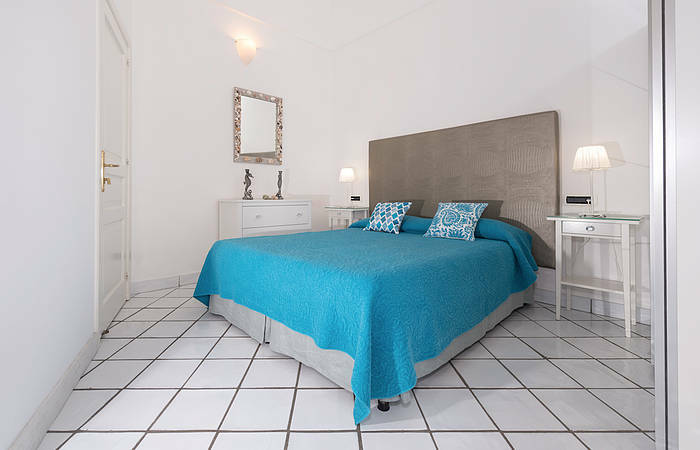 The apartment is well located at just a 5 minute walk from Amalfi's shops, restaurants, and cafés, and the same to the beach, bus stop, and ferries. 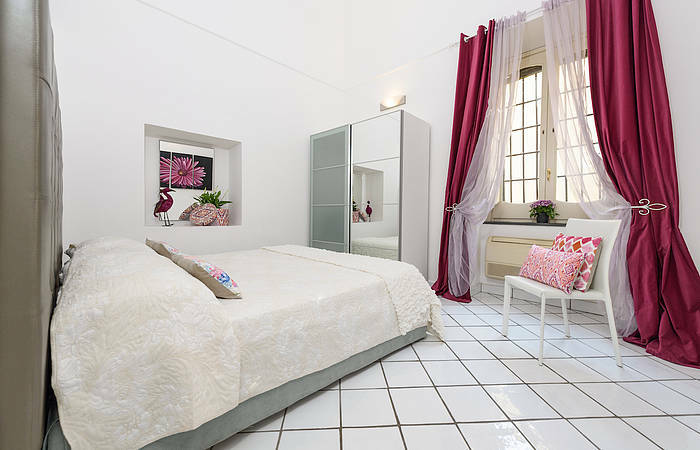 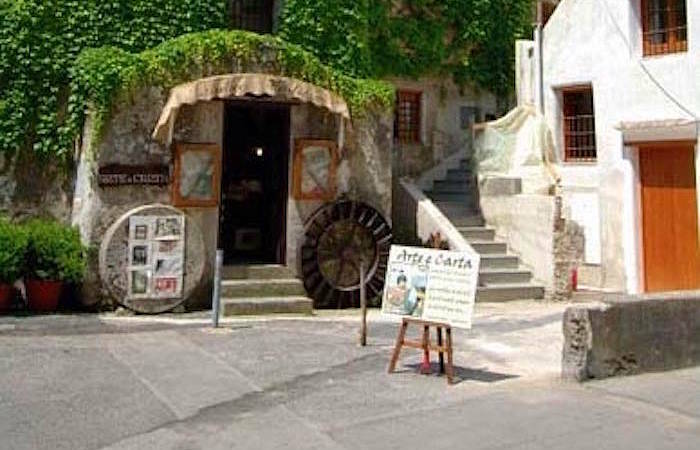 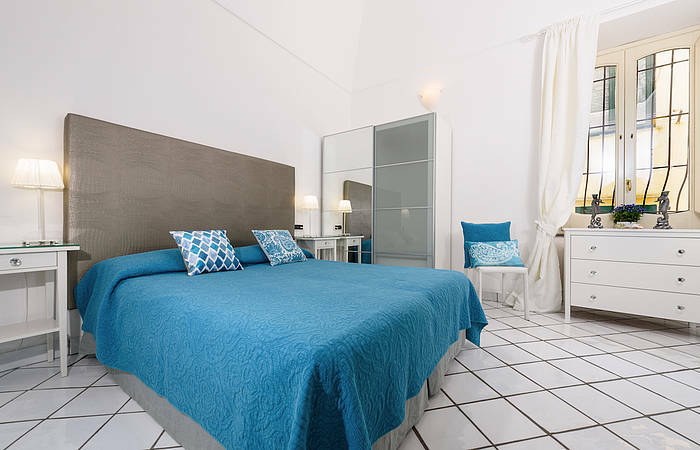 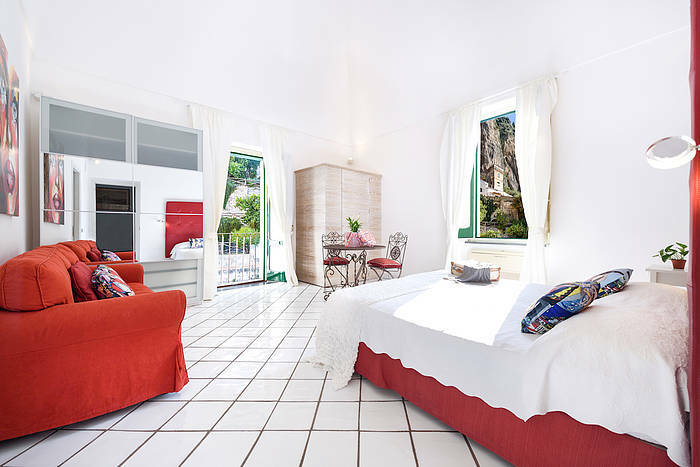 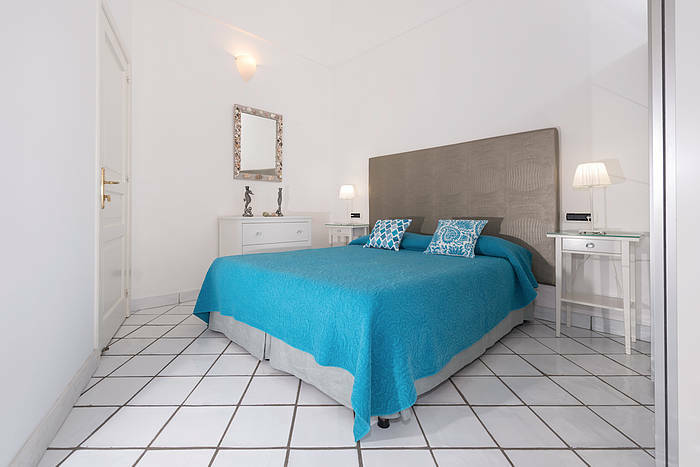 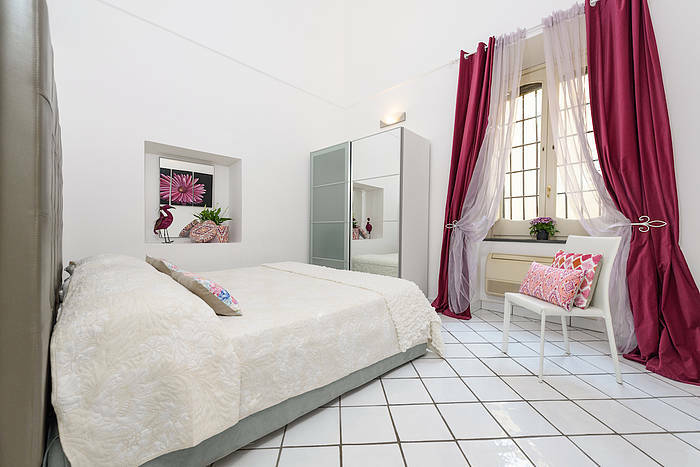 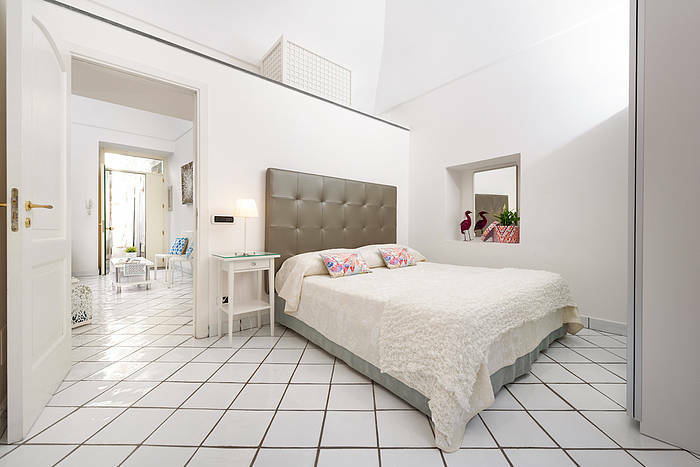 Cartiera is located on the first floor of an elegant building in the historic center of Amalfi. 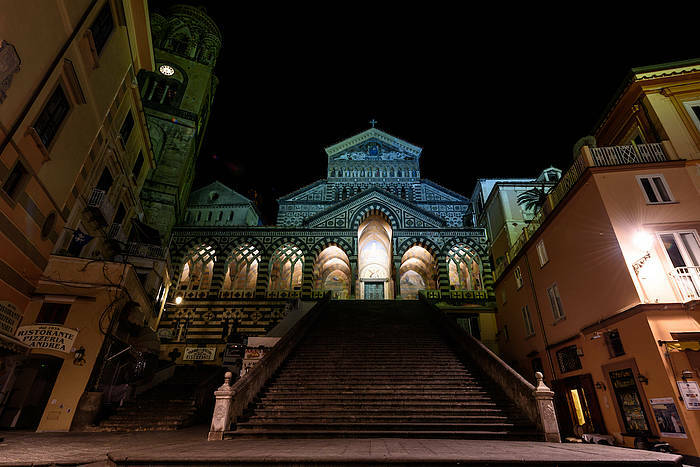 There are about 20 steps to reach it. 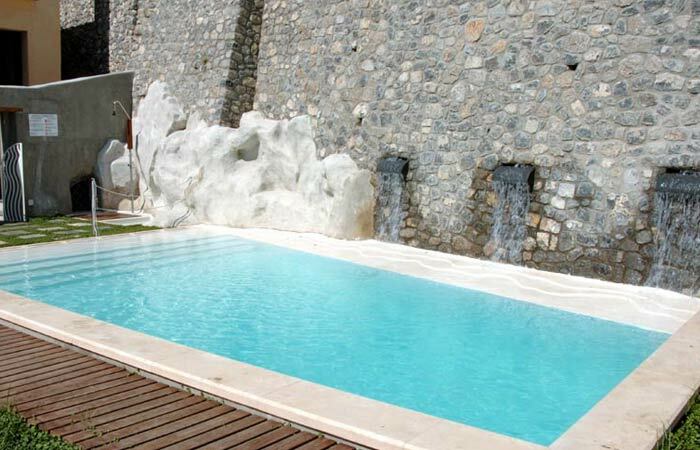 Our new pool, with sun loungers and towels provided. The pool is generally open from the end of March to late October/beginning of November, weather permitting. 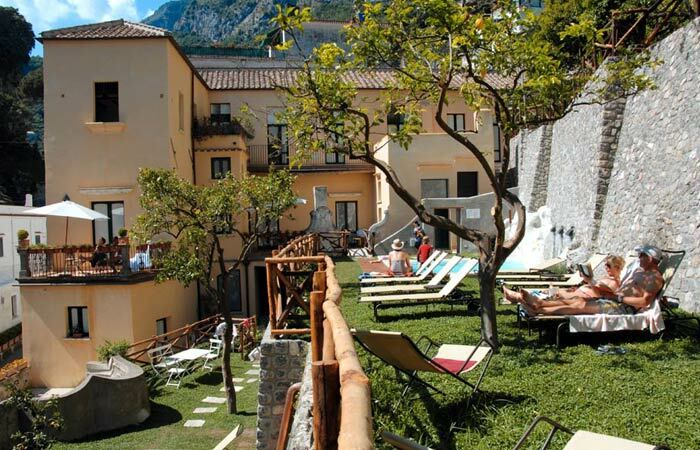 Parking available for ¤20.00/day per car. 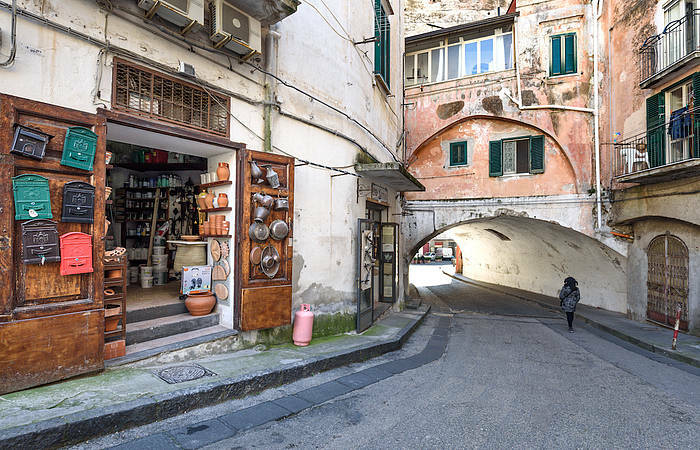 Parking available for ¤25.00/day per minivan. 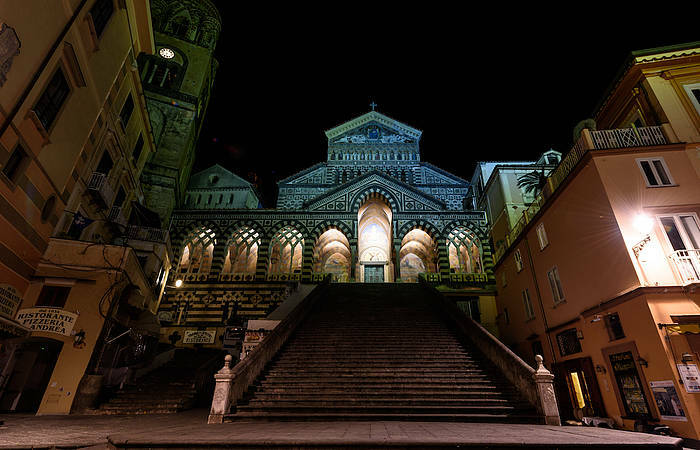 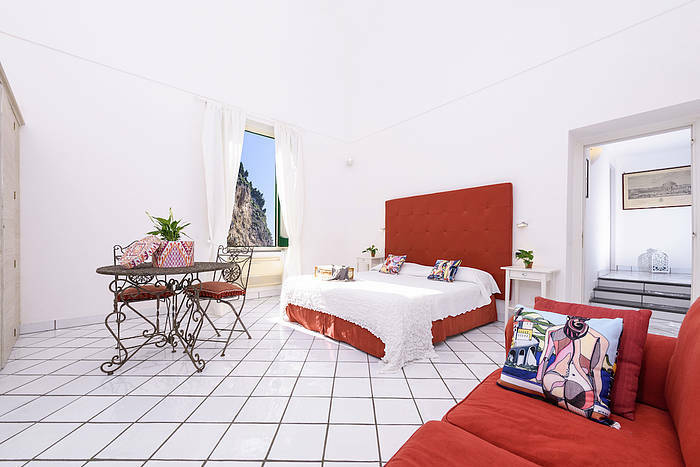 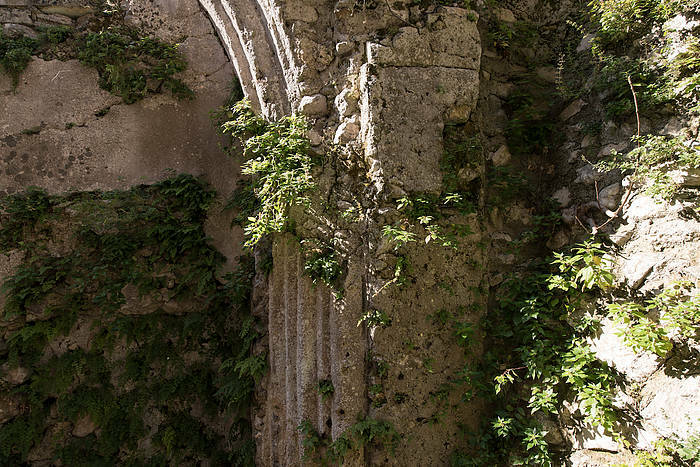 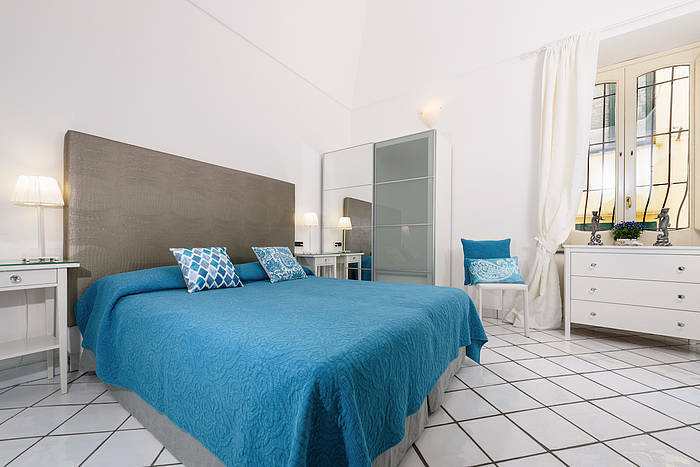 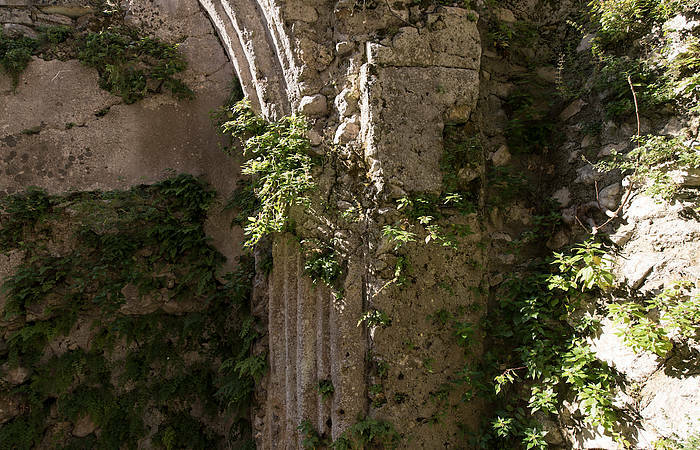 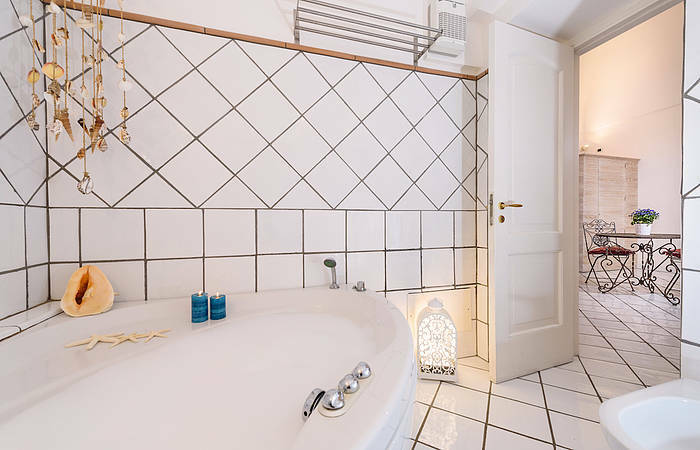 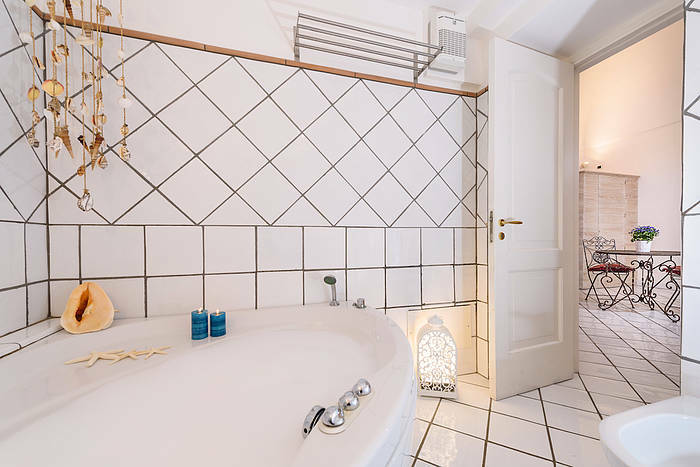 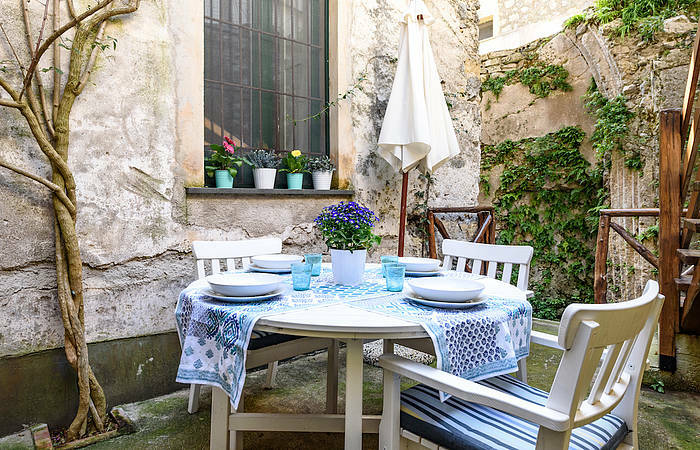 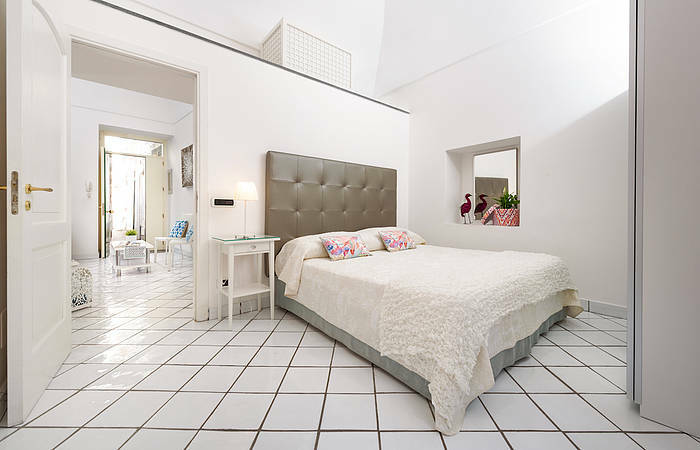 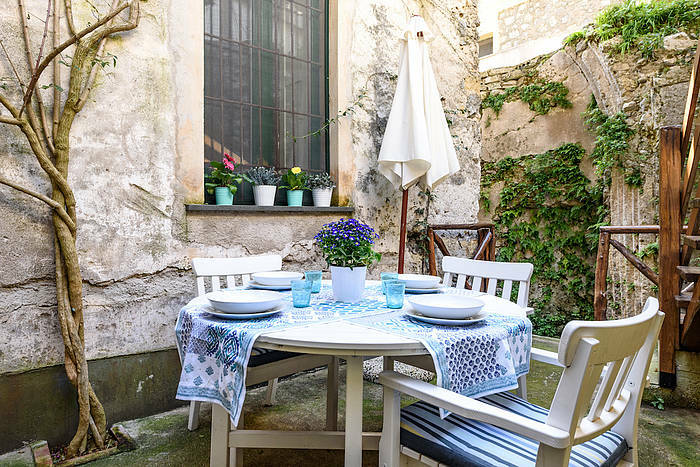 Cartiera is just a 5 minute walk from Amalfi's beaches, Piazza Duomo and the cathedral St. Andrea, and located in the heart of the historic center. 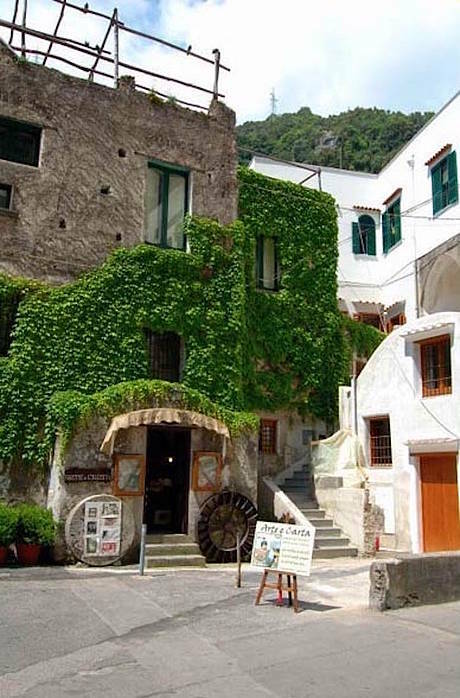 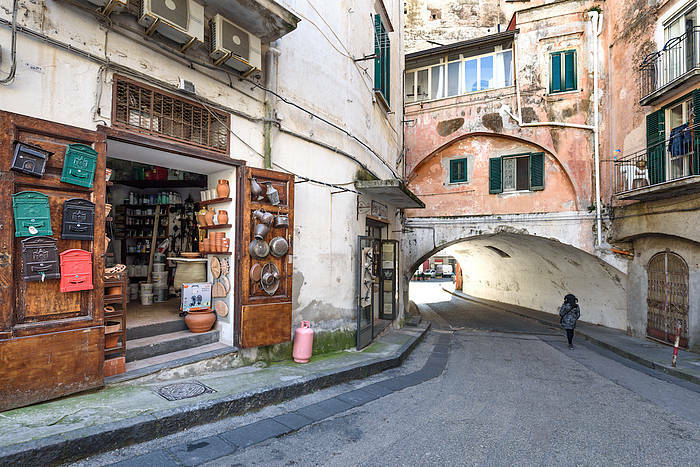 Explore the characteristic twisting lanes in Amalfi's center and discover the boutiques stocked with typical local products from this region, including Amalfi's colourful ceramics, traditional hand made paper, and limoncello, the refreshing after-dinner liqueur . 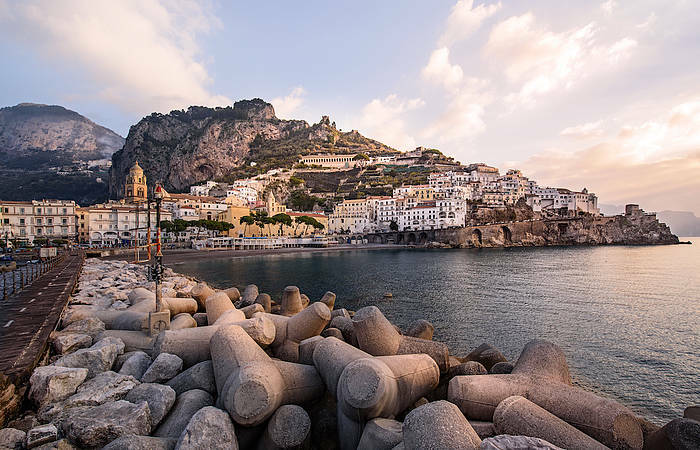 Public transportation, including ferry/hydrofoil, bus, and taxi, is located near the main port and just a few minutes walk from the accommodation. 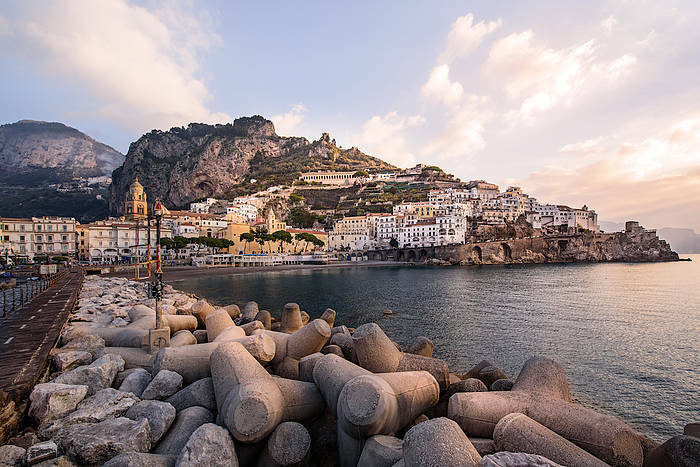 Here guests can find transportation to all the towns along the Amalfi Coast, the islands of Capri and Ischia, and Salerno, Sorrento, Naples, Pompeii, and Paestum. 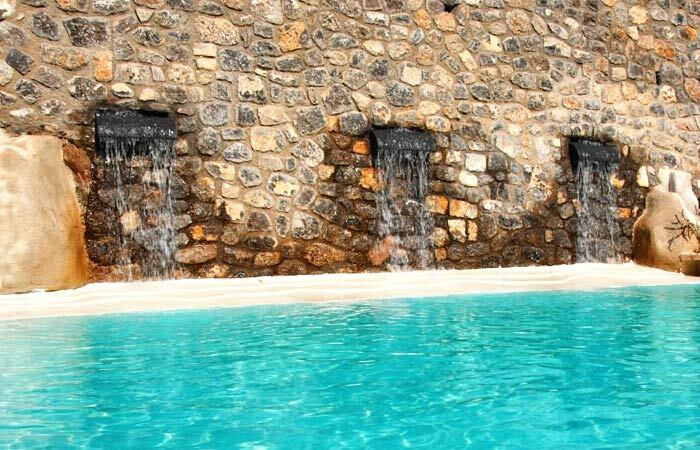 Public Transportation (bus, ferry and taxi): 400 meters/437 yards.